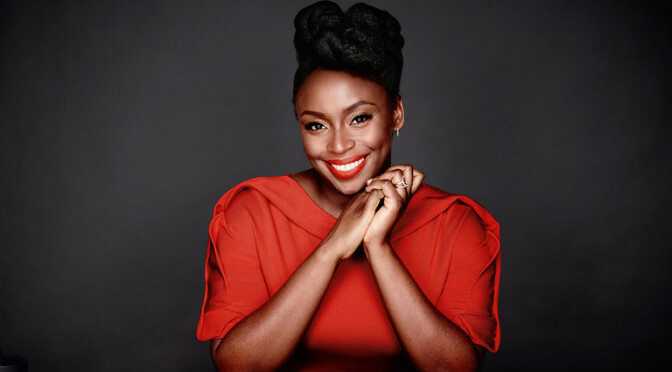 It was announced today that celebrated author, feminist, and aesthete Chimamanda Ngozi Adichie is the face of British brand Boots’ new beauty campaign. 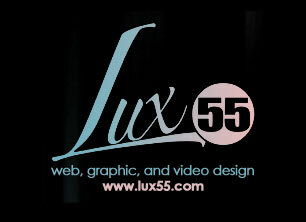 The campaign launches today, and according to Huffington Post UK it will include print, digital, and TV components. But it is much more than that. Adichie’s new gig is a statement that real women, serious women—the kind who write critically acclaimed novels and give TED Talks with outsize effects on politics and pop culture—also care about beauty and fashion. And Adichie is as serious as a woman can get. She is a MacArthur “genius grant” recipient, the author of the critically acclaimed novels Americanah and Half of a Yellow Sun. Her seminal meditation on feminism, “We Should All Be Feminists,” was not only sampled by Beyoncé, but is now required reading for every 16-year-old boy in Sweden. It’s empowering to see Adichie dismantle the double standards that deny the complexity (which is to say, the humanity) of womanhood. As a woman who writes about white supremacy and police brutality as well as summer fur and beauty products, it’s empowering to see Adichie dismantle the double standards that deny the complexity (which is to say, the humanity) of womanhood. I need to see that a woman, a Black woman, can shift global political thinking and sit front-row at Dior as both a guest and muse, as she did a few weeks ago in Paris. Serious male writers are given permission to love comic books and video games. Hell, some of them even make second careers doing it. 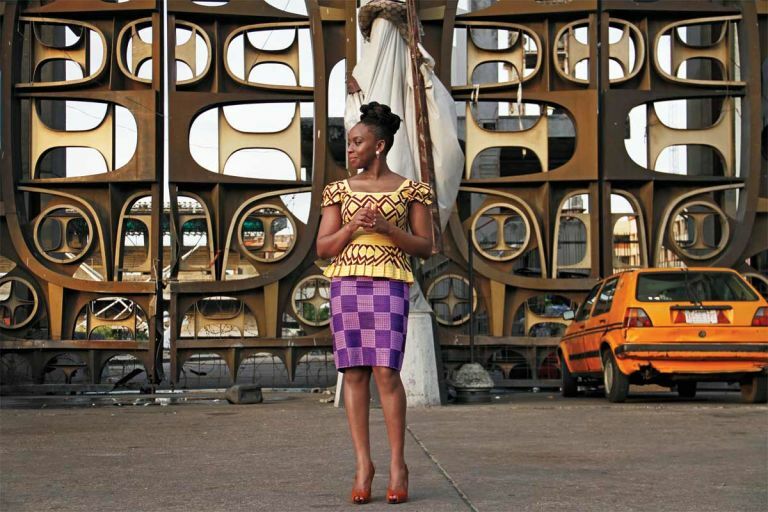 So to watch Adichie publicly take pleasure in aesthetics and to be celebrated for it is a hopeful shift. It’s political, radical even, that one of the biggest British brands has tapped a dark-skinned Black woman writer to represent them. Beauty is political. As the photographer Joel-Peter Witkin wrote, “Beauty is each culture’s peculiar fiction.” The dangerous fiction that our culture peddles is that dark women, largely, can’t be seen as beautiful. What our culture upholds as beautiful, if we’re to judge by looking at the runway, mainstream media, and advertising, is predominantly white, thin, and young. So it’s political that one of the biggest British brands has tapped a dark-skinned Black woman writer who writes about feminism, colonialism, and Nigeria to represent them. Colorism often excludes Black women who aren’t mixed-race or mixed-race-passing from being considered as beautiful. In recent years, against the backdrop of the galvanizing spirit of Black Lives Matter, we have seen the world rushing to diversify and be more inclusive. But to see the identities and politics that Adichie represents celebrated in mainstream ways is still going to be peculiar, to use Pitkin’s word, for most people. Me too, girl. And I’m done having to choose. And Adichie’s current Glow Up in no way takes appreciation away from her sartorially savvy fellow writer, Zadie Smith. The writer, who has been known to stun in Altuzarra, Proenza Schouler, and head wraps that will one day singularly inspire a runway collection, is also deeply passionate about fashion. 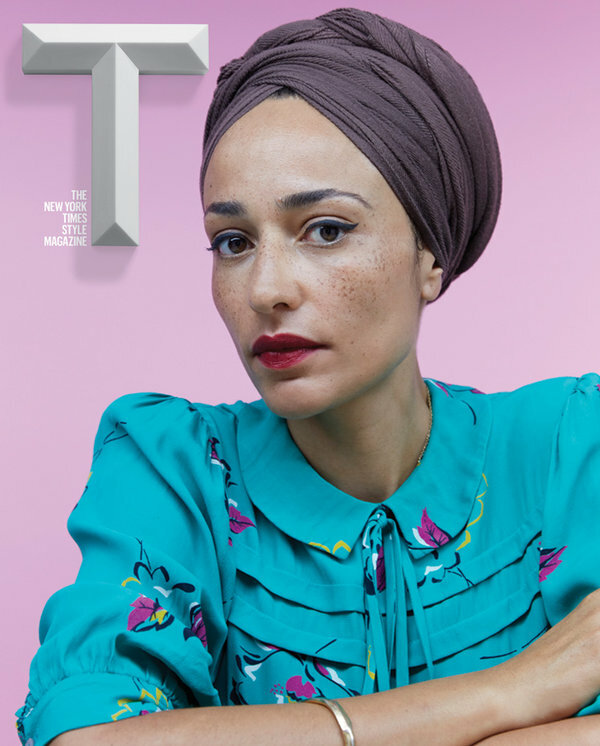 She, too, is a cover girl; Smith can be found on one of seven of T magazine’s “The Greats” issues. So often, when we are trying to find language around a new idea, we do the very thing that we are trying to escape. We pit women against each other. Instead of expanding what womanhood looks like, we unwittingly replace one standard with another. In the quest for fullness, we constrict women. We fail to remember that we are fighting for representation of all forms of womanhood, not just those versions that have been allowed. We cower to old habits instead of rising to imagination. To write this piece, I felt it was only right to slip out of my sweats and into something befitting not only of Adichie’s style, but also of my own. I wrote this essay in a starched white Oxford, a pair of my grandmother’s Chanel earrings, and lips coated in my favorite brick color. I see Adichie’s refusal to succumb to sloppiness or other people’s expectations as weaponized glamour—using beauty and style in direct, political ways that subvert dehumanizing expectations. It’s a form of protection. There is a tremendous confidence in facing a hostile world with a good outfit.